Safety is especially crucial when it comes to handling dry ice. Dry ice is an extremely versatile material that can be used for all sorts of purposes, from commercial cleaning methods to the transportation of perishable items, and even fun, foggy special effects for a play or party. Due to its extremely chilly temperature, it’s an excellent choice for storage, transportation, and more. Safety is especially crucial when it comes to handling dry ice to prevent injuries. When not appropriately handled, dry ice can be dangerous and even cause harm. 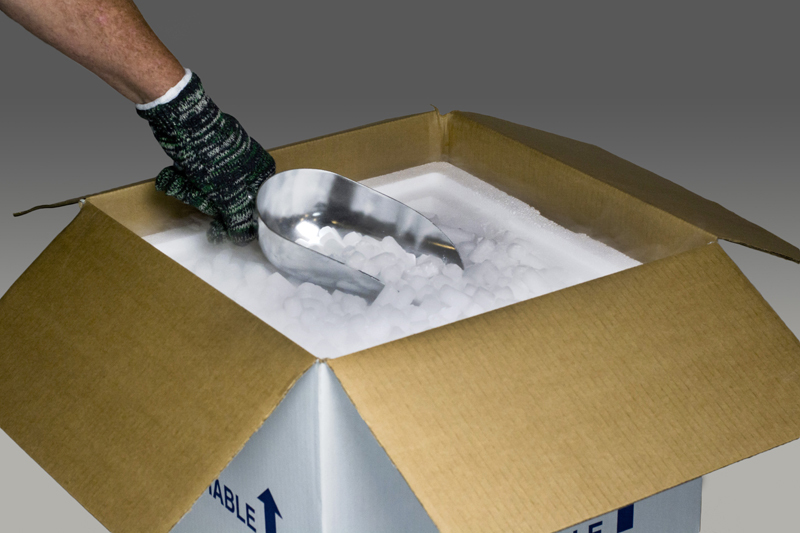 Here are some things you need to know to prevent injury through safe handling of dry ice. Dry ice is the frozen, solid form of carbon dioxide. It doesn’t melt like regular ice, which melts into liquid water. Instead, it melts into a cold gaseous form of carbon dioxide, which is what makes it so ideal for cloudy and foggy special effects. This process of solid dry ice melting into a gas is called sublimation, and it doesn’t leave behind a liquid mess, making it ideal for commercial cold storage and transportation. This cold temperature is what makes safety so important when it comes to dry ice. Dry ice has a frigid temperature of about -109 degrees Fahrenheit. This makes handling dry ice directly very dangerous since it can cause frostbite or even tissue damage. With this, it is important to wear long sleeves, long pants, and gloves to prevent an injury. You should also use tongs to pick up dry ice so that your skin does not come into contact with the substance. This step will help keep you from experiencing prolonged exposure to dry ice, which can cause injury. Safe storage of dry ice is crucial. Since dry ice melts into a gaseous form, it’s important to keep it stored in a well-ventilated container or cooler. If it is stored in a poorly ventilated or airtight container, dry ice can cause pressure to build up and potentially cause the container to explode. Always keep your dry ice in a well-ventilated area to prevent safety issues. This entry was posted on Friday, March 29th, 2019	at 11:33 AM	and is filed under Dry Ice Safety	. You can follow any responses to this entry through the RSS 2.0	feed. Both comments and pings are currently closed.